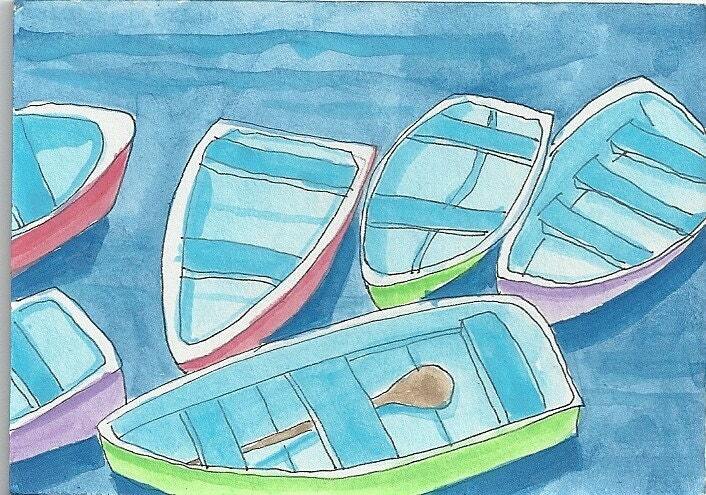 I love seeing a group of little boats docked together as if they've been discussing their recent passengers. This is from an atc I painted for a friend who loves the outdoors. Each card measures approx 4x5" and comes with a white envelope in a cello sleeve. It is left blank for your own personal message.